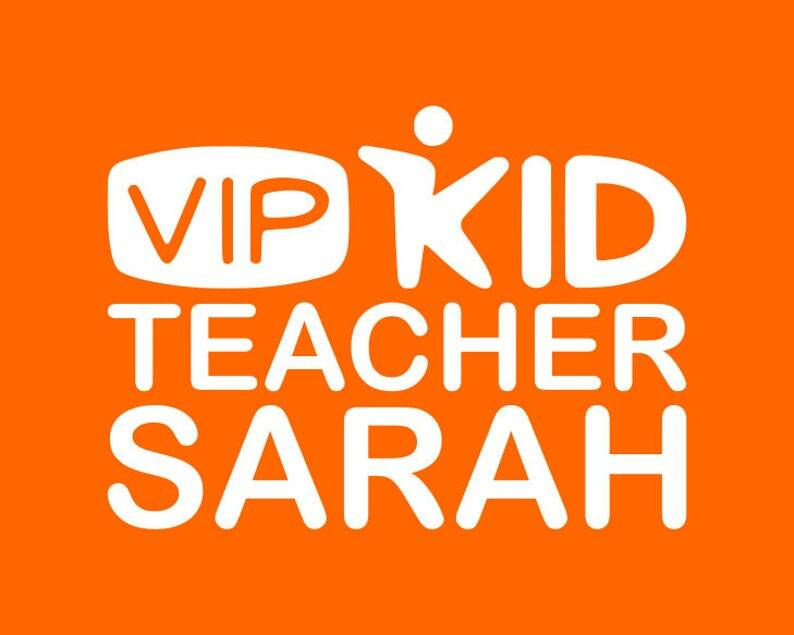 Listing is for one iron on VIPKID Logo approximately 5.5"x4". Logo is made from a heat transfer vinyl that is applied by heat with an iron. Logo is available in white or orange. Logo can include a Teacher name for additional $1. Please specify in a note to the seller, what name you would like and if you need a different size. Larger sizes may require an additional charge. Logo can be applied to t-shirts, sweatshirts, polos, athletic shirts, and many others fabrics. Due to the personalization feature of this item, cancellations and exchanges will not be accepted unless agreed to by the seller on a case by case basis. Item will include directions on how to apply the logo to a cotton garment such as a t-shirt, as well as washing/care instructions. Item will also contain one piece of parchment paper used to iron on the logo.